VEDANTA and its subsidiary, Konkola Copper Mines (KCM), said they had not given up a legal challenge against a High Court judgment that allows members of a Zambian community to claim certain damages in an English court. In May 2016, the English High Court of Justice ruled that the English courts have jurisdiction to hear and adjudicate claims by 1,826 Zambian villagers that pollution from KCM damaged their livelihoods. Vedanta duly appealed this decision which was today dismissed by the English Court of Appeal. “This judgment relates solely to the jurisdiction of the English courts to hear these claims. It is not a ruling or a determination on the merits of the claims,” said Vedanta in a statement. “Vedanta and KCM are examining the court’s judgment and will seek permission to appeal the court’s decision,” it added. The next stage of the appeal process will be an application to the Supreme Court. It would appear the stakes are high. According to a statement issued by Leigh Day, the law firm representing the Zambian villagers, the judgement has landmark status because it paves the way for other companies to be held liable in the UK High Court alongside their foreign subsidiaries over allegations of human rights abuses. “This is a very important step forward in our clients’ fight for justice,” said Martyn Day of Leigh Day. 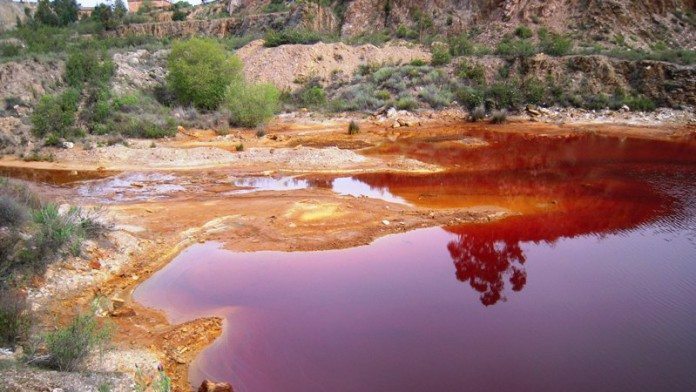 “Our clients allege that they continue to suffer from the toxic waste being discharged regularly from this massive open cast mine and we now hope, in light of this clear judgment by the Court of Appeal, that the defendants will listen to our clients’ concerns and seek to resolve them,” he said. In 2016, Leigh Day assisted a South African law firm in extracting a settlement from AngloGold Ashanti, and other mining firms, on behalf of 4,365 miners. The miners claimed to have contracted silicosis working on the mines of the companies. Leigh Day also helped pioneer claims on behalf of mining company employees who had contracted asbestos-related breathing difficulties in the early Noughties. In today’s judgment from the Court of Appeal, Lord Justice Simon upheld the original High Court judgment and dismissed the appeals. “In summary, I have concluded that there are no proper grounds for re-opening the Judge’s decision. The appellants have not persuaded me that the Judge misdirected himself on the law, nor that he failed to take into account what mattered or that he took into account what did not matter,” he said. Blood sucking Leigh Day at it again. These immoral people pretend to ¨be on the side¨of communities but really they are making millions by taking a significant portion of damages awarded to these poor people. In the process they are spreading hatred and dissent by convincing communities that the mining companies are their enemies. Mr/ms Goldminer, you should come to Nchanga ,Chingola, Zambia and wade through the itchy and smokey acidic waters of the Kafue river for you to comprehend the magnitude of devastation caused to our communities were the poor of the poorest reside. The fish has perished, crops are failing and most villagers are hungry and sickly. Some have long died without seeing the end of justice. Please follow the zambian case closely and you will realise how flawed the justice system is in this part of the world. The judgement that was given in a zambian court in favour of the villagers was never effected. KCM, Vandatta’s baby wont pay a kwacha or a dime for wrecking and impairing our lives against a backdrop of the huge profits that are mostly externalised to foreign accounts if the case is reversed back to Zambia. You’re right, we perceive the mining companies as our enemies. Surely you cant blame us. On the southern side of our town,chingola, the only signs we have to show for Anglo American mining Giant’s presence, that left more than a decade ago, are enormous craters, excavated deep into the bowels of the earth. The copper ore is gone and we’re left to nurse these man-made distortions filled with millions of litres of water and the huge dumps that have permanently eclipsed the skyline. Leave Leigh Day alone. At least the voiceless may get restitution to enable them give their ailing relatives, who live on the banks of the kafue and mushishima rivers, descent burials, after perpetually consuming concoctions of poisonous chemicals from KCM. My aging mother is a victim and i feel the pain. I wish i had the means to vigorously rise up against these multi-billion conglomerates that have raped our environments in search of mineral resources whilst leaving us the indigenous people impoverished and confused.